Complete your A/W look with this hooded fleece jacket. Add a splash of colour to your winter wardrobe! With a super cosy fleece lining. And two pockets to keep your mitts warm! 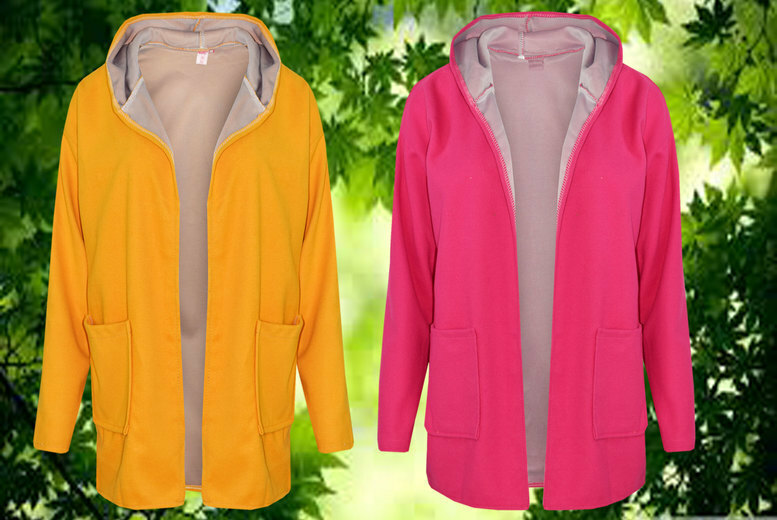 Choose between two gorgeous colours: pink and yellow. In UK sizes 6-8, 8-10, 10-12, or 12-14.